Capacity 1649 cc / 100.6 cu in. Rim front 3.0 x 17"
Rim rear 6.00 x 17"
The K1600GTL meanwhile replaces some of the GT’s sportier genes with luxury ones, to the point where even though both machines share the same chassis and power train from engine to rear wheel, the GTL has a distinctive character and finds itself up against a different set of bikes. Not that it’s a big set, including as it does the Honda Gold Wing and in some peoples’ eyes, the Harley Electra Glide and Victory Vision. The BMW in many ways though is a very different machine, more akin to the company’s 7-Series cars in its efficient dedication to comfortable high speed travel, where the glitzy Glide is all 1960’s kitsch and the Vision relies on flamboyant style and excess as much as ability. 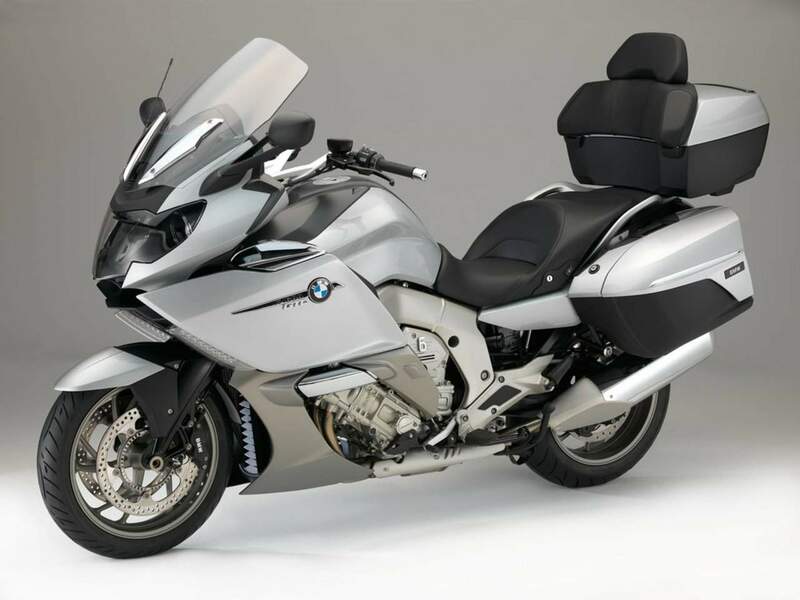 The GTL’s nearest rival though is its own stablemate, the K1600GT, as many potential buyers will be dithering between the two. So what are the differences, and how do they matter? The bodywork is the same on both bikes with only the GTL’s larger screen differing, and this is an option anyway for GT buyers. The GTL gets softer suspension settings, lower and further forward footrest, a lower and wider seat and a topbox as well as the panniers. 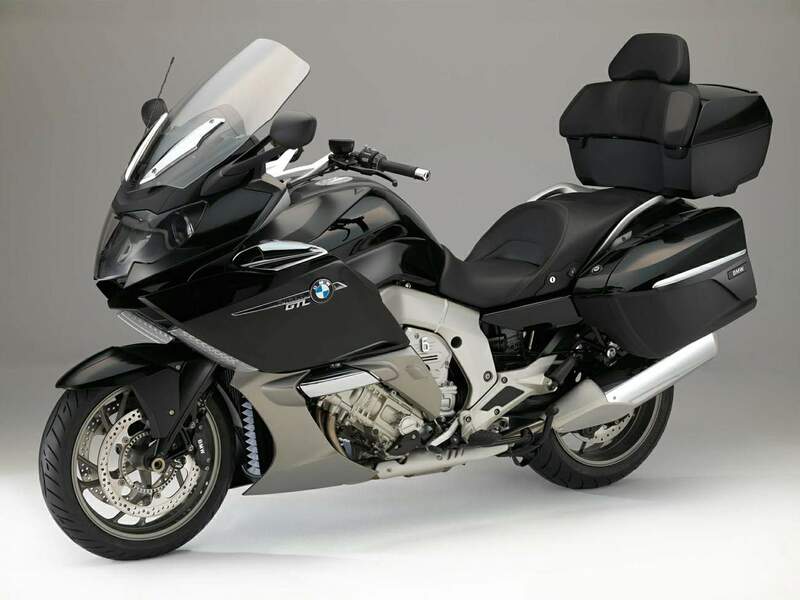 The K1600GTL is also electronically restricted to a top speed of 136mph (220kph) compared with the GT’s unrestricted maximum of 155mph (250kph), and this is the reason it has a higher maximum payload, despite the softer suspension – fully loaded at close to 150mph it could become unstable. Total permitted weight for the GTL is 1,235lb (560kg), 44lb (20kg) more than the GT. The GTL feels different as soon as you sit on it, with a very upright riding position due to the pulled back bars and lower seat. For shorter riders this will help in moving it around with the engine off, although taller ones could be more confident in manhandling the GT, but either way the differences aren’t great, despite the added high-up mass of the capacious topbox. The sound of the engine is familiar enough after the GT – BMW says it’s slightly more muted thanks to small silencer variations (in addition to their different finishes) and when you’re revving it hard there is a softer edge to the seductive rasp. But you’d still be hard pushed to tell which one you’re on by the exhaust note alone. As with the GT the clutch action is light with a slightly vague bite point, but when you find it the bike wafts away effortlessly and smoothly. 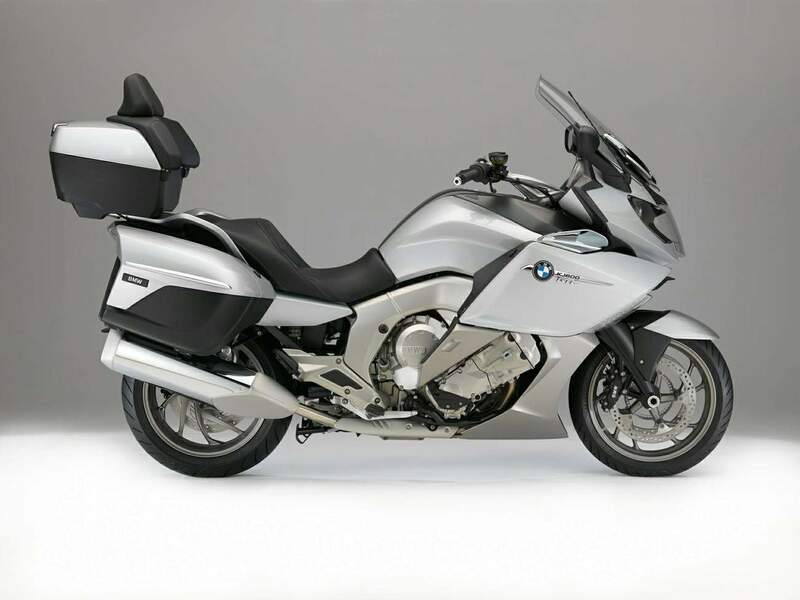 There’s none of the K1300 series graunch or judder when the drive is taken up, even when you’re launching the bike hard. 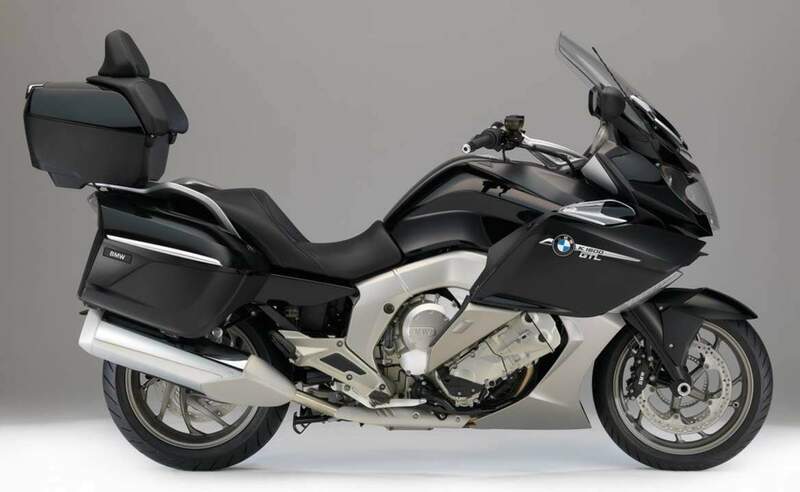 The next observation came as a surprise after riding the K1600GT: the K1600GTL feels a little more punchy at lower revs. It’s not a big difference, which is just as well as the gearing on both bikes is the same, as are the engines, and the GTL carries a little more weight. In which case there’s a comparative factor at play: the GT with its tauter chassis encourages you to rev it harder and push the performance more, so when you do drop down to low revs again the gap between in the power and out of it feels greater.